An extremely compelling video has racked up over 2 million views on Twitter in less than 24 hours. It appears to show security footage of two young skateboarders stealing chips from a convenience store when a dude with a shotgun enters and attempts to rob the place. And then the skateboarders totally stop him and then run off with the munchie material! Don’t get too excited. 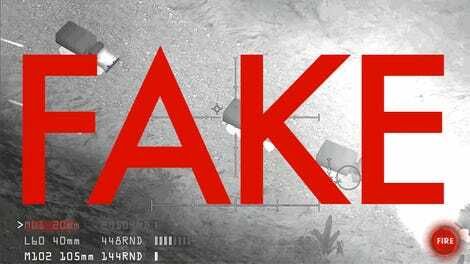 It’s fake. Not only is the clip fake, it’s also an ad for a new Facebook web series called Five Points. The show is about some high school teens blah blah blah who cares. The security footage must be two of the teens getting into shenanigans, and my God, the world is an awful jungle of tricks and deceit when you step back and look at it with clear eyes. The successful attempt at creating fake viral content is especially ironic coming from Facebook, a company that claims to be fighting against this very type of content. It was a little over a year ago that Facebook tweaked its ranking algorithm to give preference to posts that were not fake. 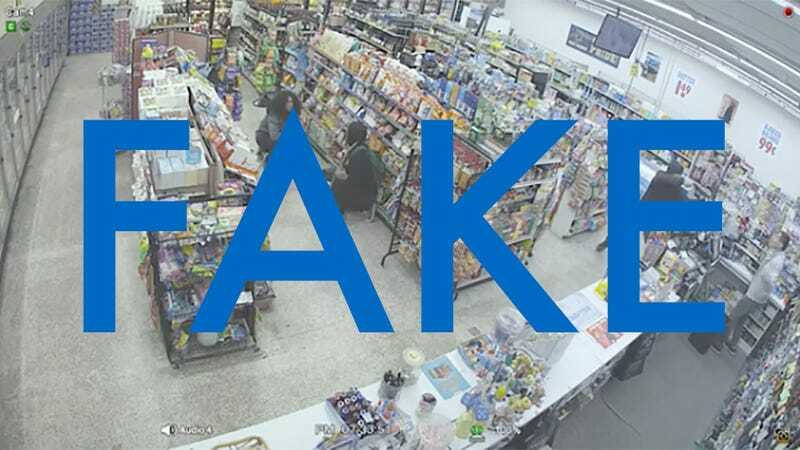 That was just one among many attempts to discourage fake news and videos (just like the convenience store robbery video mentioned above) from going viral. In Facebook’s latest earnings call, sandwich enthusiast Mark Zuckerberg even bragged that fewer people were watching viral videos on the social network and that was making their experience better. To Facebook’s credit, the company did add a bumper to the end of the convenience store robbery video when Five Points posted it on Instagram. It appears that one or several Twitter users simply chopped off the branding to make it appear more authentic. Either way, the Five Points Facebook page pretty much exclusively features viral-looking social media posts that are 100 percent fake. The convenience store robbery video has been viewed nearly 400,000 times. So make up your mind, Mark. Do you want people watching viral videos on Facebook or do you want people to watch Facebook-made content carefully disguised to look like viral video content? You need to decide, Mr. CEO.